From a Soviet Aircraft carrier to a cheap artist village, check out our best Shenzhen sights to find out what should be on your sightseeing list when you are in town. Where: From Hung Hom MTR station on Kowloon side you need to take the East Rail Line to Lo Wu or Lok Ma Chau stations, which are both on the Hong Kong/Chinese border. Whether you get off in Lo Wu or Lok Ma Chau depends on where you want to go to in Shenzhen. Lo Wu is the most popular crossing point. It has the huge Luo Ho shopping center right on the border and offers quick connections to downtown Shenzhen. The Lok Ma Chau crossing is better for some Shenzhen hotels. Both crossing points are connected to the Shenzhen Metro. When: The first train leaves Hung Hom at 5:30 am and the last train at 11:40 p.m. - connections to Lok Ma Chau are less frequent. These times are subject to occasional changes; however, the general hours are correct. How Long: The journey to Lo Wu takes just under an hour, after which you can expect 30-40 minutes of border formalities before entering Shenzhen. You will need to exit the subway on the Hong Kong side of the border, cross the full international border and then join the Shenzhen metro for onward journey. At both crossings, the subway stations and international border are contained within the same complex. Prices: A single ticket using an Octopus Card costs around HK$38 ($5 USD). The ferry route from Hong Kong to Shenzhen is a more leisurely way into the city. The ferry terminal in Shenzhen is at Shekou, which is a popular resort area filled with bars and restaurants. You can catch the Hong Kong to Shenzhen ferry from the Hong Kong-Macau ferry terminal building in Sheung Wan. There are six ferries each day and they take around an hour. It costs around HK$120 ($16 USD) for a one-way ticket. Do I Need a Chinese Visa? : Yes and no. Confused? You will be. 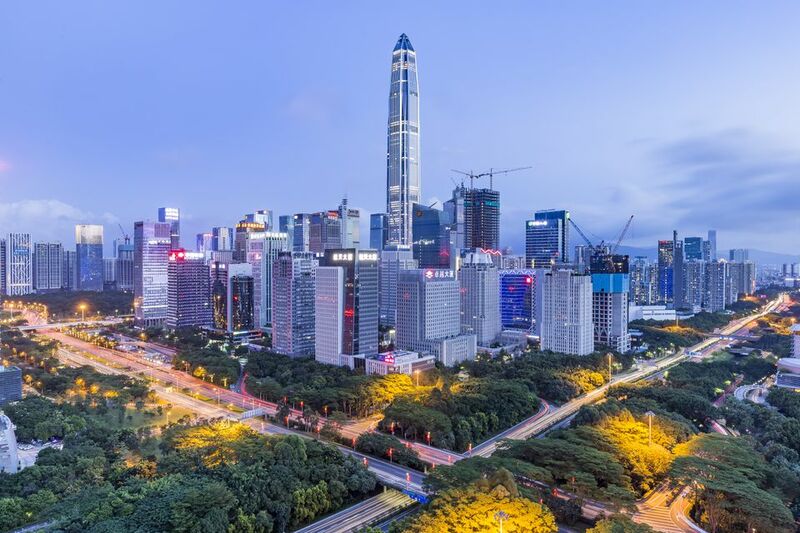 Shenzhen is a special economic zone and there are five-day visas available on the spot at the Lo Wu and Lok Ma Chau border crossing (this is not available on ferry crossings). These are only valid for the Shenzhen area. These visas are only available to certain nationalities and this list seems to be in almost constant flux. US nationals absolutely cannot obtain a Shenzhen special economic zone visa. Most EU nationalities can obtain a visa, including the UK at this time, as can citizens of Australia and New Zealand, although suspensions occur often and it’s wise to check ahead.